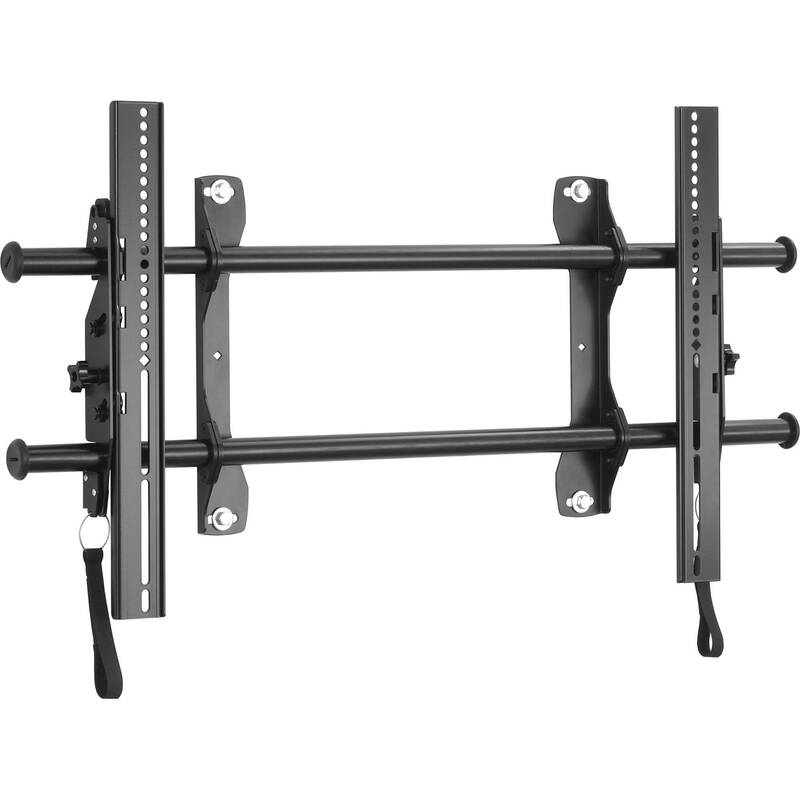 Designed for 37-63" displays weighing up to 200 lbs, the Chief LTA5364 Fusion Flat Panel Tilt Wall Mount makes it easy to achieve perfect positioning and adjustment of large flat-panel screens. The low-profile tilt uses the center of gravity to balance the screen, while the centerless shift offers up to 16" (406mm) of lateral shift - 8" (203mm) to the left and right of uprights - for limitless centering. The mount's audible Click Connect feature lets you know when the screen engages with the mount, and a built-in cable stand offers convenient under-screen access. The mount provides integrated security with the addition of a padlock, and the unit ships with a custom hardware kit for easy installation. Box Dimensions (LxWxH) 37.0 x 22.0 x 5.0"